How the Convergence of Brand and Reputation is Affecting Marketing"
The convergence of brand and reputation is disrupting the marketing function. MaryLee Sachs explores the relationship and increasing blur between the marketing discipline and the public relations profession, and how the two mix in a world where reputation is an increasingly important aspect to brand, and where the growth of social media has contributed to an increasing lack of control over how brands are perceived. Drawing on the experiences of Chief Marketing Officers (CMOs) from 10 iconic organizations with business and consumer brands around the globe, The Changing MO of the CMO explores how some organizations are making the most of a blended approach to communications and marketing and how CMOs can respond to and prepare for their new responsibilities. More details. public relations in their marketing toolkit." CMO that want to build effective consumer dialogue." substantial difference for an organization." past traditional roles and embrace stakeholder engagement as the new MO for CMOs." “The Changing MO of the CMO” is available for purchase at Amazon, Barnes & Noble and Gower Publishing. Purchasers buying the book directly from Gower are eligible for a 10% discount. 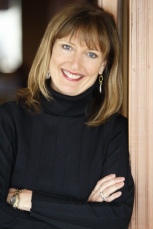 MaryLee has over 25 years of integrated marketing experience in the international arena. Resident in the UK for 17 years before moving to New York nine years ago, she has worked with and advised many blue-chip organizations including P&G, PepsiCo, Kellogg’s, American Express, HSBC, Johnson & Johnson, Kodak, Motorola, Anheuser-Busch, Patek Philippe, Porsche, Beiersdorf and others. In many cases, strategic direction and campaign execution spanned the European region or were international in scope. Most work included integration across marketing disciplines. MaryLee Sachs unveiled her book at the Cannes Lions International Festival of Creativity in a workshop she co-chaired with EffectiveBrands' Marc de Swaan Arons on June 23, 2011.